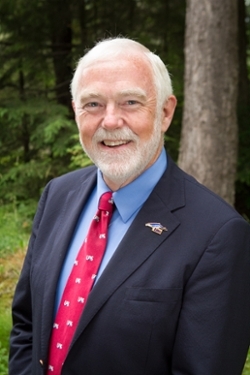 University of Alaska President Jim Johnsen reported today that he has signed a voluntary resolution agreement with the US Department of Education’s Office of Civil Rights (OCR). This VRA is the culmination of three years’ work, and is the product of the hard work of many people at UAS and across the UA System. This agreement focuses on improving campus safety and combating sexual misconduct. The President's message, the OCR findings report, and other information about the Title IX compliance review can be found at the University of Alaska Title IX Compliance website. As Chancellor I welcome the results of this compliance review. All members of the university community—students, employees, and visitors—have a right to be free from sexual misconduct. A safe campus environment for learning is a strategic priority for UAS. The findings are a catalyst for making improvements in line with that priority--improvements that are already underway and will be pursued aggressively under the new agreement. These are just some initial steps to comply with OCR findings. More is needed and will be done. Alaska has one of the highest rates of sexual assault and interpersonal violence in our nation. The University of Alaska can be a leader in combating this in our communities. The findings of the OCR review help us to identify best practices in prevention and response, correct deficiencies in our processes, and support those whose lives have been impacted. Only by taking these steps will we achieve a culture of safety and respect that all Alaskans deserve. The UA Board of Regents and President Johnsen have made it clear that students and employees alike deserve a safe educational and workplace environment. I ask for your engagement and support as we work together to achieve the goal of safer campuses and safer communities. As always, I value your feedback and ideas about how best to achieve this goal here at UAS.